How Can I Do Good Keyword Analysis With Only Free Tools? And I’m very happy to share the bit that I do know, so here’s the first post in the new Q&A section, and if you have some questions of your own, please contact me with them! I got a lot out of your posts! Thanks so much So I wanted to pick up the 80% Law of SEO but it seems like the link doesn’t work. Is it still available? Would this be a good keyword or a buyer keyword at that. I didn’t get to do much research on the competition because I have not bought any tools yet but Google says its low comp lol! This will be my first site. Any input will be greatly appreciated. I thought this was a great question, because there are lot of people who can’t afford to buy really good competition analysis tools right now and don’t really know how to do a full keyword competition analysis with the free tools that are available. I got permission from Michael to share this post and keyword, so here was my reply, which included my actual analysis of his keyword. As for what I do for competition research when I do not have access to my tools (mainly SE Cockpit), here’s my outline. If it doesn’t meet my requirements at each stage, I drop my research and move on. It has to fit all criteria, or it’s a waste of time to build a site on. I load the keyword into the Google Keyword Planner tool, and check to see what the searches per month are, and what the trend graph shows (the little icon beside the searches per month which tells us the last years search trends and volumes). You want a keyword with at least 1000 searches per month, or you will get no traffic. Alternately, if it’s under 1000 searches per month, but it has a HUGE CPC, then there’s potential there and you need to find out why people are paying that much for this keyword. It’s probably worth it! I also check the CPC and Competition. I’m usually looking for LOW competition and a CPC of over $1.00 because then I know people are spending money to buy that keyword on Adwords. If they are spending money, that also means there’s likely to be a good affiliate offer out there somewhere. **Oct 13/2013 Update: As you can see from the comments below, Jillian P has pointed out the the Competition Bar actually reports on the level of competition (number of advertisers bidding on the keyword) that exists in Adwords. This whole time I thought it was measuring the level of difficulty to rank, and now looking at it, it makes total sense! So a HIGH level of COMP would mean more advertisers thus a greater chance of money being spent in that niche, and affiliate products to go for! I simply check if the keyword is available in .com, .net or .org. Any keyword with decent SEO Competition is bound to have the EMD’s already registered. So think of it as a 3 stars system. If all domains are available, that’s 3 stars! If only two, that’s 2 stars etc. If none are registered, it’s already pretty obvious that no one is targetting that keyword. What I do here is simply put the keyword “in quotes” and do a Google search to see how many results are there. Anything under 100,000 is usually fairly easy to rank for with good on page optimization and a couple solid PR backlinks. That should be enough to get you on Page 1. If it’s really low, say under 30,000 you’ll probably rank Page 1 just for doing good on page optimization. I just do a Google search of the keyword itself, and see what makes up the Top Ten and how many people have the keyword in the Title, URL & Description. If people are targeting the keyword, you’ll see lots of them in BOLD in those 3 places. If not, pages are ranking Top 10 because they are the closest thing Google could find and the domain likely has some authority! What is it that they are looking for when typing in this keyword? I also try to figure out what stage in their search for information are they at. General Search. This would be broad keywords like “health foods” or “lose weight”. They are very big terms with tons of searches, but don’t tell us much about what the real problem is. It sounds like this person wants to lose weight, but why? Do they have high blood pressure? Do they want to look good in a wedding dress? There’s lots of info left to the imagination. More Specific. These are usually a second search after the person didn’t find what they were looking for the first search. They are usually long tailed keywords like “lose weight in the belly” or “reduce high blood pressure”. These keywords are a lot better to target as they are getting more specific as to what the searcher is looking for. Laser Targetted. These are the keywords people search for when they know exactly what they want. They have the answer to their question already and are actually searching for opinions or the product/service itself. These look like this: “LG Optimuz G 9100 review” or “where to buy Nexus 7”. If you find one of these keywords and you provide good solid info, you are going to make sales. The more detailed their search, the more they know exactly what they are looking for and you just need give it to them. If they are in the More Specific range, then they are looking for options, and you should give them that! If they are just getting started with broad niches, that’s pretty tough, but it’s huge traffic and I’d try to build a list from those types of searches, or use Adsense. 1.) 70 searches per month, CPC is $0.97 and trend graph is fairly stable, no big losses or gains over the last year. *** Typically I would stop right there. Your keyword gets only 70 searches per month on average and it doesn’t look like it’s going up in the trend graph. 70 searches would be ok if the the CPC was like over $10 because then you know there’s some serious advertisers for that keyword, but it’s only $0.97. Sorry dude I don’t think this is a very good Keyword at all. So if it were good after step 1, say you had 1000/month search volume and $0.97 CPC, it’s low but decent! 3.) 18,500 phrase match results. That’s super low competition, you could probably get page 1 from good on page optimization. 4.) Seems like lots of Authority sites that aren’t targeting the exact phrase. That’s good, because Google gives them the listing because it’s the closest thing to what is being searched, not the exact thing that is being searched! 5.) It looks like the person is looking for foods to increase their metabolic rate. So they are in a very INFORMATION GATHERING state. They don’t have a list of foods yet. It’s likely that this person wants to lose some weight (high metabolism burns fat) or they are an athlete (but most athletes have a fairly good knowledge of healthy eating habits, and don’t need to Google it). So overall based just on Step 1, no I don’t think this is a good keyword to go after. Also on Step 5, it’s an informational gathering keyword, no specifics at all and there are TONS of info on the Internet that are free lists of good foods that boost metabolism. One thing I read about choosing a keyword with good Buyer Intention was that you need to match the size of the problem with the search. The more serious the problem, the better the buyer intention. “How To Get Rid of Yeast Infection” has a highly embarrassing problem associated with it and an element of privacy. It’s likely someone searching that term who finds a product online would be inclined to spend a bit of money to take care of the issue privately. “Metabolic Boosting Foods” doesn’t have an urgent or embarrassing problem associated. It’s just a person looking for some healthy foods to eat. They aren’t likely to buy. Keep that thought in mind when choosing keywords. I hope this all helps, and if you are ok with it, I’d love to include your question and my answer on my blog. I’d like to include the keyword, since it’s a real example, and I don’t think you would be going after it anyways. But if you want to use it, I’d like to post this anyways, but I’ll hide the keyword. Let me know and I hope this all helps! Michael did write back and let me know he gave me the wrong keyword, and then gave me the right one. The new keyword had 9900 searches per month, $1.17 CPC and LOW Competition in Google. The .org was available, there was 165,000 Phrase Match results, which is definitely doable with some High PR links. The Top 10 pages had some sites actually targetting the keyword phrase and a long tail version of his EMD was at spot 10. Finally his keyword wasn’t overly different than the first one, so it was in the informational gathering stage. Personally I wouldn’t have gone after the first or the second keyword he gave me, as I have gotten so good at Keyword Research I know I can find an even stronger one in 10-15 mins of searching. But I wish Michael the best of luck and I hope you liked this post and got something out of it! If you have questions, remember to email them to me from my contact page and if I have a good enough answer for you, I’ll put it up here on my blog! Please LIKE this page or comment below! So it’s been about 9 months since I’ve really hit my own personal stride with SEO. I have about 15 sites on Page 1 of Google now, and I’m closing in on the $1000/month mark in a completely residual income stream! Most of my sites are EMD style and I’ve done ok with that. Scratch that, I’ve done great with that, it’s where I learned all my SEO foundations! But I’ve slowly started realizing that it’s ridiculously easier (and way cheaper) to rank a single domain for 10 awesome keywords than it is to try and rank 10 domains for 10 awesome keywords! Buy one PR backlink, but all 10 keywords benefit. Just keep building and working on a single domain, rather than trying to organize details for 10! This one is such a huge time saver. Focus on one blog, and get much better insight and results from test. More traffic from 10 keywords means easier testing of new CPA, Affiliate and Adsense placements and offers. I don’t know if you have ever heard of setting up your blog in a SILO fashion, but apparently it’s getting amazing results in Google. And SILO’s are what I am talking about up above; using one domain to rank multiple keywords rather than EMD’s for every keyword. Don’t get me wrong, I still love my EMD’s and I ain’t quitting any time soon, but I have started building SILO’s based on the teachings of Alex Becker. I’m not sure if you know Becker is, but once I started following his SEO advice, that’s where things really started heating up for me. If you have followed me in the BTF forum at all, you’ll know what I’m talking about. Those are all thanks to Becker and what I learned from him. Well the next level for me is now building bigger sites using SILO’s and because I’ve been one of his good students, he actually let me in on his latest project called SEO Zen and it’s effing awesome! It’s a Word Press plugin that literally builds your website for you in a perfectly SILO’d structure and I’m talking fast…like mere minutes. It also sets up each post and page with the 3 things that Google is currently loving the most. If your blogs have those three things on them, along with a small handful of High PR backlinks you are going to see some major rankings. Trust me, I’ve now done it personally time and time and time again. CHECK OUT SEO ZEN IN ACTION! Here’s a video where Becker shows you how fast this baby builds perfectly optimized SILO sites. See what I mean…pretty slick right? I’ve already started building my very first SEO Zen blog and I’m going to be sharing the results of it here on my blog with everyone. But if you want to get in on the action right away, Becker is giving an early bird discount of 62% tomorrow on Oct 1, 2013 his launch day of SEO Zen. The product is going to cost $197 regularly, but as always you can get it cheaper if you act fast. The biggest discount is the 62% Discount which is only going to last for a few days. Then they drop the discount to 50% for the last couple of days of launch, then it’s at the full price of $197. 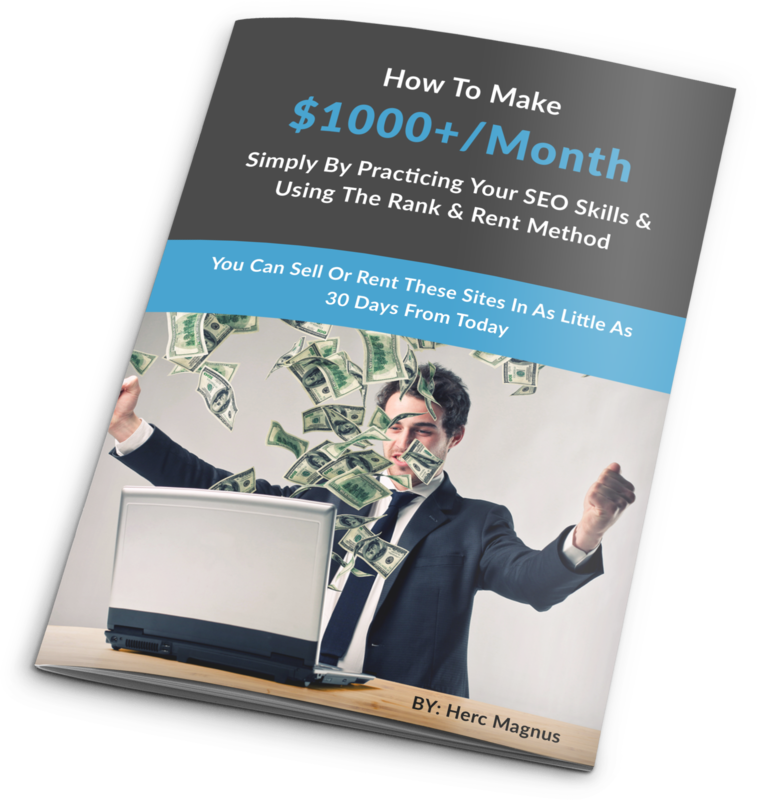 SEO ZEN BONUS BY HERC MAGNUS! Ok so obviously I want you to purchase SEO Zen through me (I will make a commission, but I truly do believe in the software or I wouldn’t even speak of it). So here is what I am going to offer if you purchase SEO Zen from this very link. On my last blog post, I asked everyone for their suggestion for the name of my new Keyword Tool, and you all voted for Keyword Supremacy. Well guess what, it’s almost done Stage 1 development and I will let you in as a beta tester. You’ll be able to grab hundreds of keywords perfect for use with SEO Zen! Obviously I want KeywordSupremacy.com to be a success, and the best way I know how is to take all my above beta testers by the hand and actually build their websites with them! I’ll guide you step by step to a site ‘as guaranteed as I can give you’ to the top of Page 1 of Google. I’ve done it about 15 times now! I’ll actually reveal to you a blog that I built months ago, that sits at #1 in Google! It took me 1 hour to find the keyword, build the blog and backlink it. 4 days later it hit #1 and stayed there. I’ll give you a PDF report with the exact story behind it all. I do NOT give this out as I don’t need everyone in the world just buggin me whenever they need something! But for people who need access to me to help build sites, I will give you my Skype ID so we can chat (pre-arranged meetings may need to be made). So I don’t know if that sounds at all worth it to you, but if it does CLICK HERE to get your 62% Discount on SEO Zen, and once you have it, use the contact form to send me your receipt number and I’ll put you on the list for Beta-Testing, Case Study Student, My #1 Blog Case Study and my Skype ID.